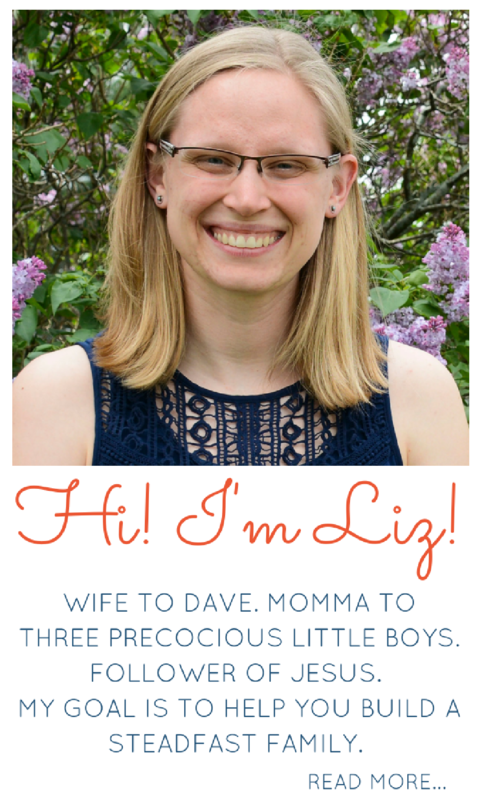 Life has been crazy busy for our family lately. Some of the commitments are choices we’ve made and some are out of our control – but one thing is for sure, the days are short and the to-do lists are long! 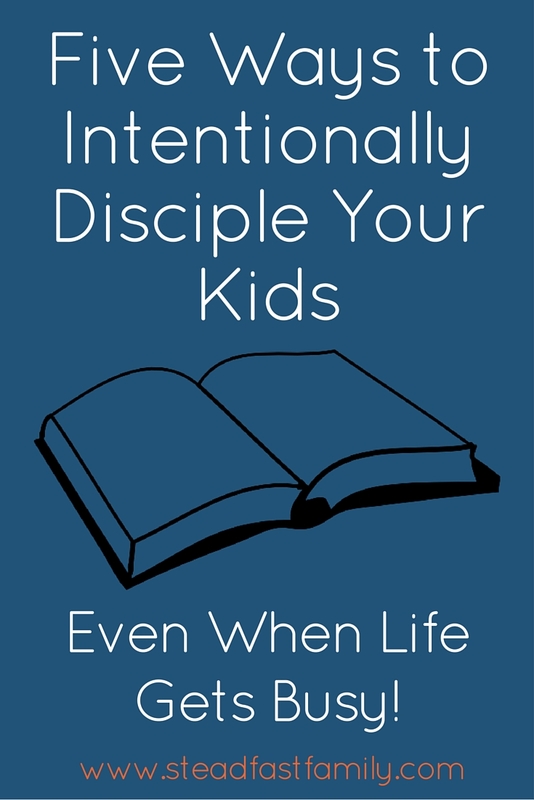 A while back I noticed that I was slipping in my intentionality when it came to discipling my son. 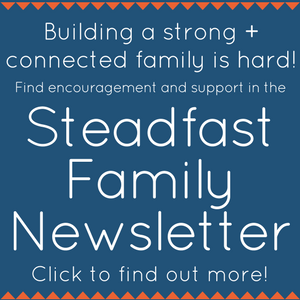 We used to have plenty of time for fun Bible and character building crafts and activities (like Play Through The Bible and Hero Training), but lately I had been rushing through the day without giving much thought to activities like these. I knew that this needed to change, but I also knew that life wasn’t going to be slowing down any time soon. 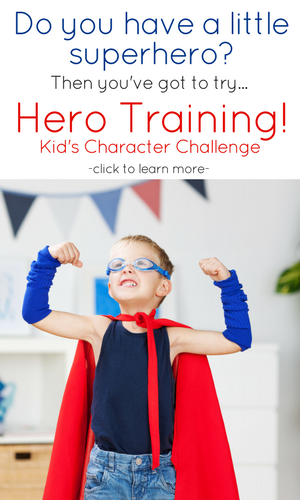 I needed to find simple ways to be intentional about discipling my son that would fit into our current lifestyle. I did some brainstorming, tweaked a few things, and I’m pretty happy with how things have been going lately. We haven’t been perfect, and I look forward to when life slows down a bit so we can do even more, but it has been working well. Moments of discipline are some of the best times for pointing your child to the gospel. Little hearts are often tender and in tune with their own shortcomings and need for a Savior. I am often reminding my son during these moments that God is the only one who does only good and that is why we need Jesus. 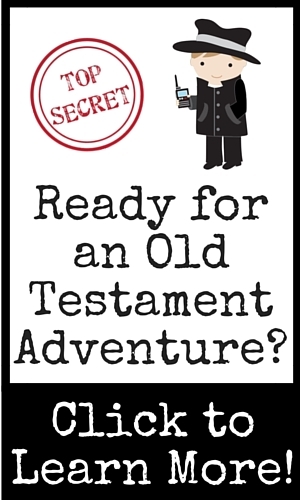 It is very easy for me to fall into the trap of thinking that kid’s Bible time must always be fun, exciting, and special. Now, believe me, I have no problem with it being those things. 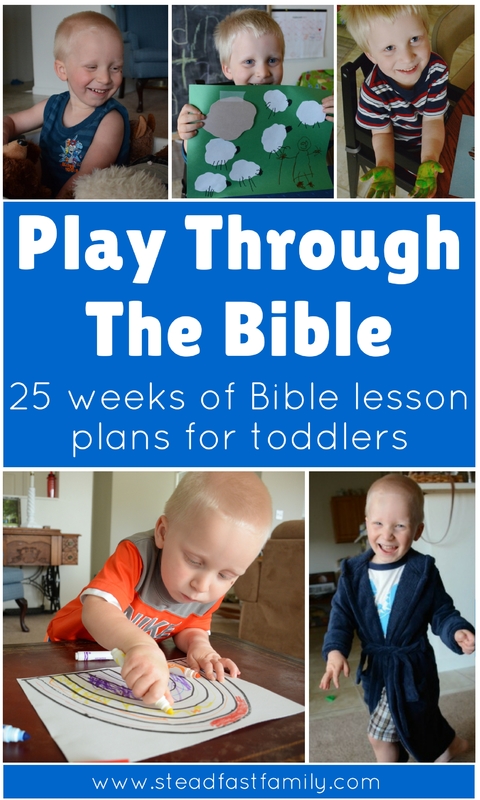 In fact, I love making learning about God’s Word a fun and meaningful time for my son. However, it is okay to just keep it simple too. Read straight from the Word – taking just a verse or two and reading it at breakfast, talking about it for a moment. Use a simple devotional – I got my son this book for Easter and we have really been enjoying reading a page or two at a time. We love listening to music around here and we tend to listen to all different kinds. However, I do try to listen to Christian music often because of how my son picks up on the message. We will be listening and he will say “they are talking about Jesus!” or “that said the cross!” and he always gets so excited when he hears these familiar concepts. The great thing too is that Christian music has come a long way since when I was a kid. There are a lot of quality options in different styles and genres. We enjoy listening to a “Toby Mac” station on Pandora that often plays Lecrae, Needtobreathe, Tenth Avenue North, Capital Kings, and of course Toby Mac. We actually don’t listen to a ton of kid specific music, but some of our favorites that we do listen to are Steve Green and Seeds Family Worship. Another awesome way to listen to music that I am discovering is through your Amazon Prime account. Did you know that you can stream tons of music through Prime Music? I had no idea until recently! A lot of the above listed artists can be streamed through Prime Music for free! My son and I talk about pretty much everything. Even when he was a baby and toddler I would talk with him about things that were probably above his comprehension. I figured that when he was able to understand he would, so we might as well start now. It is my goal for the Word of God to be so on my heart that we can’t help but talk about it as we go through daily life. I’m preaching to myself here. Like I said, life is busy for us right now. And while some of that is just a season, I do know I need to keep looking for ways to simplify life. I don’t want to be rushing through my days, to-do list in hand, not having enough time to be intentional with the things that are priorities to our family. If you are looking for a resource to help you live your life more intentionally, I highly recommend the eCourse IntentionalByGrace Unplugged: 10 days to live more intentionally from my friend Leigh Ann at Intentional By Grace. 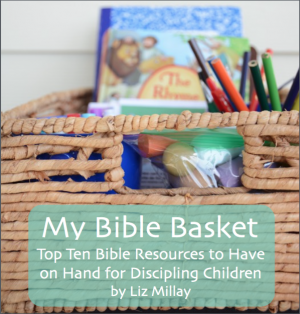 How do you find simple ways to intentionally disciple your children? I’d love to get some more ideas!